AC 427 RECREATION BY DAX. 5.7Ltr Chevy V8. An outstanding car in every respect. Finished in metallic red with silver Le Mans stripes. 5.7Ltr Chevy V8 and Tremec 5 speed manual gearbox. 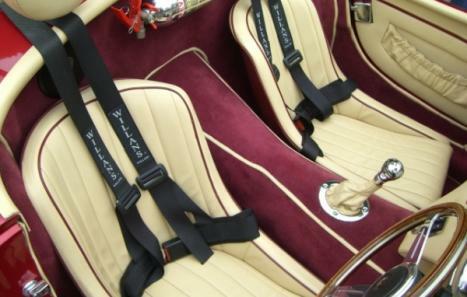 Full cream leather cockpit upholstery piped in red with bespoke button headrests. Red Wilton carpet. Period Smiths instrumentation. Push button start. Turned aluminium column stalks. 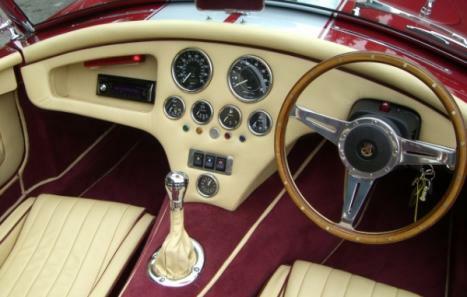 Moto Lita wood rim steering wheel. Willans racing harnesses. Chrome gear knob. Kenwood CD sound system. Chrome fire extinguisher. Twin tripod roll bars. Fully lined stainless engine bay. Mallory ignition with Magnecor leads. 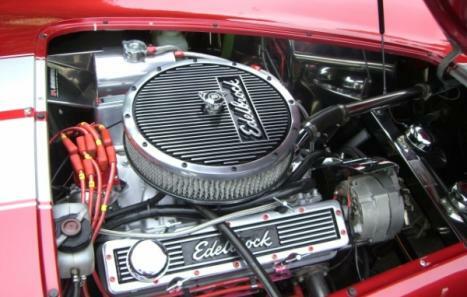 Edelbrock alloy air filter and rocker covers. Torker II inlet man. Big bore stainless headers. 4 into 1 big bore stainless side pipes. 17" polished Halibrand alloys with spinners. Full chrome pack. Colour coded sun visors. Glass wind wings. 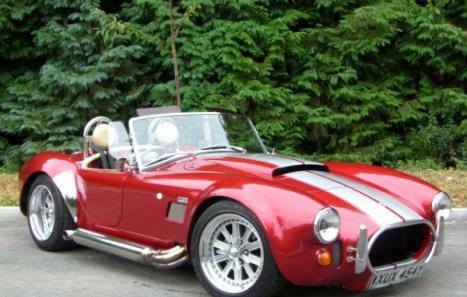 This fantastic sounding Cobra comes complete with made to measure colour coded weather equipment, including roof assembly with side screens and tonneau cover. This car has only just arrived so be quick if this is the one you are after.